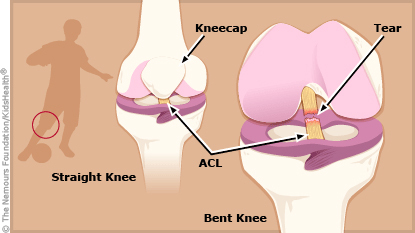 ACL tears are one of the most common knee injuries. And athletes who play sports like soccer, baseball or basketball – which feature swift, abrupt movements – are most likely to tear their ACL. I sat down recently with Dr. Kerwyn Jones, chair of orthopedics at Akron Children’s Hospital, to get answers to the 6 most-asked questions he gets from parents about this common knee injury and the surgery to repair it. See the questions and answers below. Q1: Why do girls tear their ACL more than boys? DR. JONES: There are numerous reasons including hormones, genetics, the alignment of girls’ legs, and the way girls react and respond in sports situations, which is different than boys. If you watch videos of girls playing sports, even at the high division I level in both soccer and basketball, they tend to take off, land and pivot differently than boys. The way they do these 3 things tends to affect the stress on their knees. So it may have something to do with biomechanics. Some studies have shown a decrease in the risk of ACL tears when girls do particular exercises prior to and during their sports season. We did a study here at Akron Children’s where we removed the old ACL during the reconstruction surgery and sent it to Dr. William Landis at the University of Akron Goodyear Polymer Center. His team was able to analyze the RNA, part of the genetic code inside the anterior cruciate ligament, to see if it’s different in boys and girls. They found 3 substantial differences that we think make the girls’ ACL significantly more likely to tear than the boys’. Girls may respond and react differently in sports, but they may also have an inherently weak ACL to start with. Q2: If my daughter tears her ACL, does she absolutely have to have it fixed? DR. JONES: It’s not an absolute. But if she participates in any activity, especially sports, with a torn ACL – even with a brace – she’s more likely to continue to do more damage to her knee and end up with significant problems that cannot be reversed. Generally we recommend kids have it fixed in the first couple of months after the injury and avoid any risky activities in between the tear and the reconstruction. In the past, doctors used to delay ACL surgery on kids who were still growing. Typically, when you reconstruct the ACL, there’s a risk of damaging the growth plate if you’re not used to working around it like pediatric orthopedic surgeons are. Now we try to reconstruct their knee earlier − with techniques that are safer − if they’re done by a specialist who deals with a lot of children. That’s the advantage of being at a children’s hospital. Q4: Is there a difference in children who are growing and having their ACL reconstructed versus children who are done growing? DR. JONES: Yes. There are numerous reports, although not common, of kids whose growth plates were damaged during ACL reconstruction and their leg either doesn’t grow or it grows crooked. Then they need subsequent surgeries. There are different techniques available where we can use new instrumentation and implants that make it much safer for kids to undergo ACL surgery while they’re still growing. That’s why we try to fix them early, rather than wait, because we feel it’s safer to do the surgery than it used to be and it’s better than waiting and letting kids do more damage to their knees. Q5: If my son tears his ACL and has it reconstructed, what are the outcomes? Will he be able to return to sports at the same level? 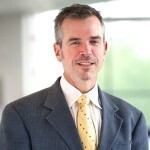 DR. JONES: In general, kids are better off with an ACL reconstruction than they would be without it. However, there’s still a substantial portion of kids who never get back to sports at the same level they played before surgery. There’s still a risk of them re-tearing their ACL a second time, especially boys. The fact is that 80-90 percent of kids will get back to playing sports at the same level they were before. But it takes a long time, usually a minimum of 6 months to recover and sometimes up to a year. Look at Chicago Bulls player Derrick Rose who tore his ACL last year. His surgeon said he’d be back in 6 months, but Rose said he wasn’t ready to play after 6 months. He took a lot of flak for it because it was during the playoffs. I commend him for that because if you’re not ready, you risk re-injury. Q6: What’s the difference between an ACL tear and a meniscal tear? DR. JONES: Both of them are typically seen in a child with sport-related injuries. The meniscus is a cartilage and we have 2 in every knee. They act as shock absorbers in the knee. This cartilage usually gets torn from twisting-type injuries. Kids with cartilage tears often present similarly to those with ACL tears. We see swelling in the knee, pain and locking. This locking or clicking in the knee is more common with cartilage tears than with ACL tears. The ACL, or anterior cruciate ligament, is one of the main ligaments in the knee joint. It’s located behind the kneecap and holds the 2 bones together so they don’t shift, slide out of place or dislocate. When kids tear their ACL, they have symptoms of swelling, pain, the knee giving way, or looseness in the knee. 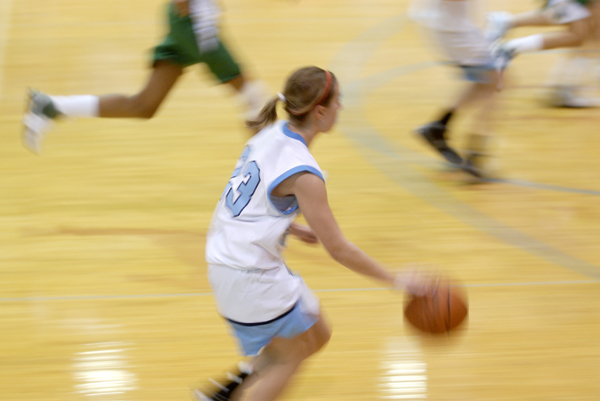 ACL tears are typically non-contact injuries. There’s a misconception that people tear their ACL when they’re struck by another player. Most ACL tears occur when a person’s knee twists underneath him, like when a player is coming down from a jump or when he’s running down the field and suddenly cuts to change directions.